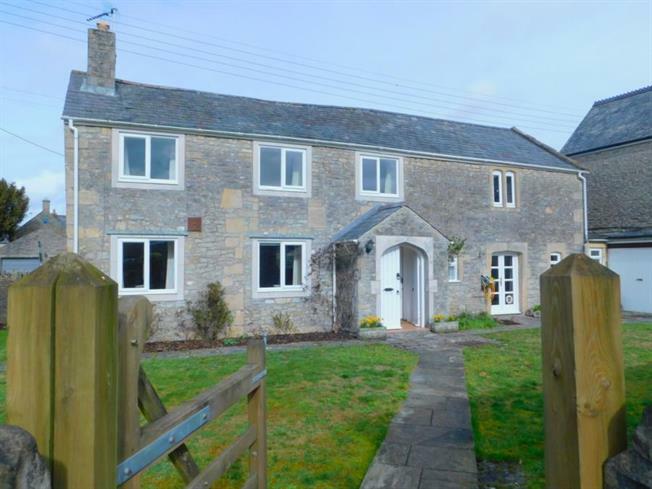 3 Bedroom Semi Detached House For Sale in Shepton Mallet for £400,000. This property's price has dropped from £425,000 to £400,000. I'm Part Of The Big Open House Event! SATURDAY 27TH APRIL. 12.30pm - 2.30pm. BARTONS, BACK LANE, STONEY STRATTON, BA4 6EA. NO APPOINTMENT NECESSARY - JUST TURN UP TO VIEW! This Property Will Only Be Reduced For A Limited Time - Don't Miss Out! NO ONWARD CHAIN! A fantastic three bedroom cottage situated in the delightful village of Stoney Stratton. The property has been well maintained over the years and offers many characterful period features, complimenting the spacious rooms that are flooded with natural light through many dual aspect windows. There are lovely views to enjoy of the neighbouring countryside, whether from the house or the gorgeous South facing garden! Call now to view. The entrance porch sets the tone. A characterful vestibule with double wooden doors to the front, leading to the hall. From here you can access the impressive living/dining room, with its triple aspect windows overlooking the garden and attractive fireplace. The kitchen/breakfast room does not disappoint, with an extensive range of wall and base units, dual aspect windows and French doors to the garden. From here you can also access the utility room. Three good double bedrooms reside on this floor, all serviced by a family bathroom and benefiting from lots of natural light and far reaching views. An impressive, level garden that faces South, and wraps around the property to the front and side. Access from here leads to the driveway and garage. A single garage with electric door to the front, with parking available for at least two vehicles.